Showing courage and resolve in the face of deadly challenges, Pakistanis went to the polls May 11 to elect a new government that will be a critical step in the country’s return to democracy, the National Democratic Institute (NDI) and the Asian Network for Free Elections (ANFREL) said today. 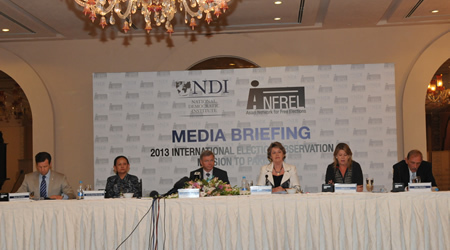 NDI and ANFREL fielded an international election observation mission with 48 observers from 18 countries. They deployed to 12 locations in three of the country’s four provinces and Islamabad, visiting more than 250 polling locations. For areas where security concerns prevented direct observation – Balochistan and the Federally Administered Tribal Areas (FATA) – the mission was in frequent contact with candidates, parties and nongovernmental organizations in those regions to collect information. Leading the mission were Kjell Magne Bondevik, former prime minister of Norway; former member of the U.S. House of Representatives Russ Carnahan, D-Mo. ; Nora Owen, former minister of justice of Ireland; Amina Rasul-Bernardo, former cabinet minister of the Philippines; Shari Bryan, NDI vice president; and Peter Manikas, NDI regional director for Asia. Others in the delegation were former parliamentarians, election specialists, congressional staff, political party leaders, representatives of nongovernmental organizations and regional specialists. Their report commented on the elections’ central paradox. “While there were many improvements in the electoral process,” the delegation said, “the May elections were perhaps the nation’s most violent,” resulting in an unlevel playing field for certain political parties in several areas of the country. The delegation reported much enthusiasm among voters on election day, with many saying the polls would lead to a better future. But the observers also pointed out a number of administrative problems that could impact the integrity of future polls if left unchecked. On the positive side, the delegation cited many improvements in the electoral process, such as: more parties and candidates competed than in the last polls in 2008; there were more than twice as many women running for general seats in the National Assembly, though their numbers remained very low; parties that boycotted the 2008 elections reentered the political process; parties cooperated as never before on the creation of an improved electoral system; the Election Commission of Pakistan (ECP) enjoyed a high level of public confidence and constructed the most complete and accurate voter list in the nation’s history; and print and electronic media reported extensively on the campaign and issues of concern to voters. All of this came in the face of the mounting violence and threats of violence that sharply undermined the ability of candidates and political parties in certain areas of the country to freely engage with voters. “The violence and threats discouraged citizens from freely attending campaign events and more broadly participating in the elections as candidates, campaign staff, election administrators, observers, and simply as voters,” the delegation said. The NDI-ANFREL observers also identified administrative problems in the conduct of the polls, including long lines and overcrowding at some women’s polling stations because of inadequate facilities to accommodate the large number of voters, problems at some polling stations when voters could not find their names on the rolls and relied on polling agents to help them, and, at some polling stations, the viewing of polling agents as an extension of the polling staff, allowing them to perform duties that were the responsibility of election officials. “While these problems did not seriously impair the integrity of the election, they could be damaging in future polls if allowed to persist,” the delegation said. Political parties should stand together to address the issue of electoral violence, and the ECP and law enforcement bodies should develop electoral security plans in a more timely manner. Guidelines on the responsibilities of party polling agents should be publicized by election authorities as early as possible in the pre-election period. Further reforms are needed to enable fair and transparent electoral processes in FATA. Election authorities and lawmakers should renew efforts to advance electoral reforms. The ECP should work with lawmakers to improve election dispute resolution. Training for election personnel should be improved to address polling day procedures. Election procedures should incorporate measures to increase ballot security. The ECP should publicly release polling station level results as soon as possible after elections. Efforts should continue to improve the electoral rolls. Election-day procedures should support greater participation of the disabled. The ECP should review complaints, reports, and evidence of incidents where women were barred from voting. The ECP, political parties, civil society groups, and the media should continue efforts to increase electoral participation of women. 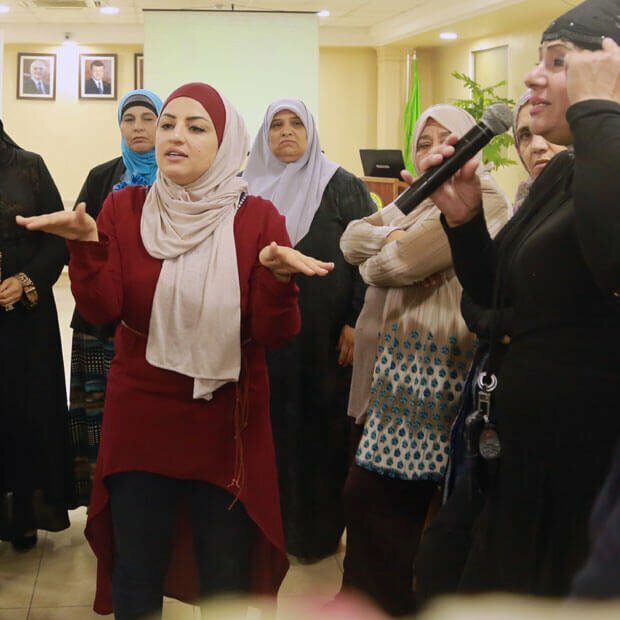 Voter education programs should streamline the use of various media and incorporate tailored approaches to communicate with young voters, particularly young women. 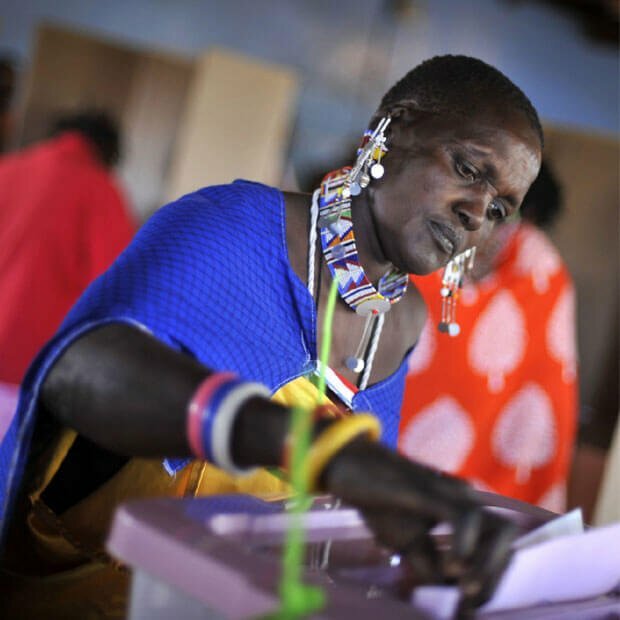 Election authorities and political parties should implement additional measures, such as tailored voter education and outreach campaigns, to promote the electoral participation of minorities and marginalized groups. From left to right: Former member of the U.S. House of Representatives Russ Carnahan, D-Mo. ; Amina Rasul-Bernardo, former cabinet minister of the Philippines; Kjell Magne Bondevik, former prime minister of Norway; Nora Owen, former minister of justice of Ireland; Shari Bryan, NDI vice president; and Peter Manikas, NDI regional director for Asia. Photo by Shazia Abbasi. The delegation drew on the findings of an NDI pre-election mission that visited Pakistan in December to assess the political environment and election preparations. The mission conducted its activities in a nonpartisan, professional manner in accordance with Pakistani law and the Declaration of Principles for International Election Observation. NDI has been observing elections in Pakistan since 1988 and conducts ongoing programs in the country to strengthen political parties and increase political participation among women and youth. ANFREL is a network of 21 citizen election observation organizations from 15 countries across Asia. 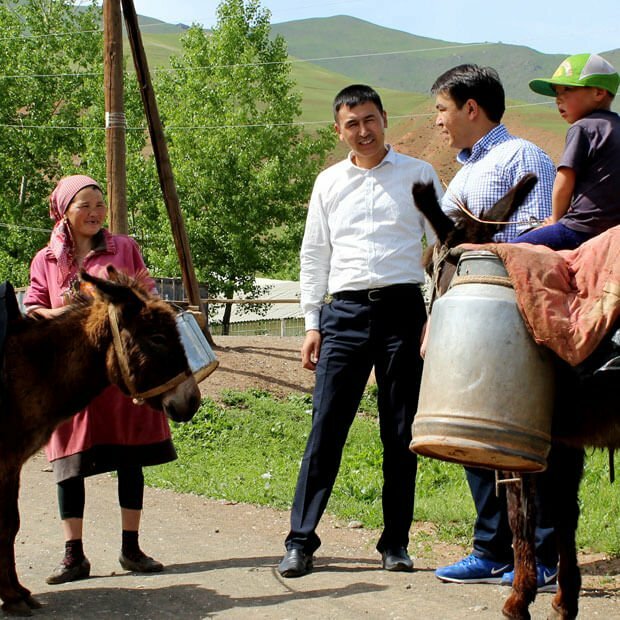 Since 1997, it has worked to advance electoral democracy in Asia through election observation, civil society development, and election-related advocacy and campaign work. ANFREL observed Pakistan's general elections in 2002. For more information about ANFREL, please visit www.anfrel.org.